Prevention and rehabilitation tips for rotator cuff injury, plus effective rotator cuff stretches. Have you ever been working out at the gym, pushing a heavy weight and heard a popping sound in your shoulder. Or what about skiing down the slopes and landing shoulder first in the snow. Or maybe just having a friendly game of tennis, when all of a sudden there’s a sharp pain in your shoulder. 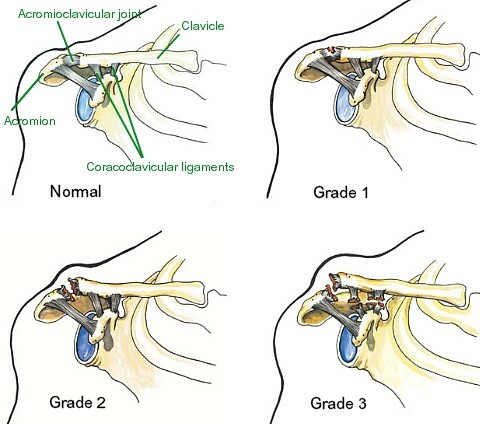 These are all signs of the same thing; a rotator cuff injury. Whether you want to call it a rotator cuff tear or strain, or shoulder tendinitis, it’s really all the same: A tear, strain or inflammation in one or more of the rotator cuff muscles and/or tendons. Side note: Frozen shoulder (also known as Adhesive Capsulitis), is a slightly different condition affecting the shoulder joint where the surrounding capsule becomes inflamed. Shoulder impingement syndrome is another condition where your shoulders rotator cuff tendons are intermittently trapped and compressed during shoulder movements. The shoulder joint is a truly remarkable creation. It’s quite a complex formation of bones, muscles and tendons and provides a great range of motion; including flexion, extension, adduction, abduction, and internal and external rotation. The only downside to this extensive range of motion is a lack of stability, which can make the shoulder joint vulnerable to injury. Let’s have a quick look at the shoulder joint in a little more detail. The shoulder is made up of three bones, and the tendons of four muscles. (Remember, tendons attach muscle to bone). The bones are called the “Scapula,” the “Humerus” and the “Clavicle.” Or, in layman’s terms, the shoulder blade, the upper arm bone and the collarbone, respectively. The four muscles that make up the rotator cuff are called, the “Supraspinatus,” the “Infraspinatus,” the “Teres Minor” and the “Subscapularis.” It is the tendons of these muscles, which connect to the bones, that help to move your arm. 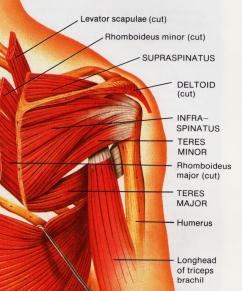 In the picture to the right, three of the four muscles are visible; the supraspinatus, the infraspinatus and the teres minor. These are the muscles that are viewed from the rear (or posterior). The subscapularis is not visible because it can only be viewed from the front (or anterior), and this particular view only shows the muscles from the rear, as if looking at someone’s back. The first being degeneration, or general wear and tear. Unfortunately, the shoulder is a tendinous area that receives very little blood supply. The tendons of the rotator cuff muscles receive very little oxygen and nutrients from blood supply, and as a result are especially vulnerable to degeneration with aging. This is why shoulder problems in the elderly are common. This lack of blood supply is also the reason why a shoulder injury can take a lot of time to heal. There are two common symptoms of a shoulder injury, pain and weakness. Pain is not always felt when a shoulder injury occurs, however most people who do feel pain, report that it’s a vague pain that can be hard to pinpoint. Mark my words “Prevention is much better than Cure.” Anything you can do to prevent an injury from occurring is worth it. The prevention of shoulder injuries comes down to the conditioning of the shoulder muscles and tendons, which ultimately involves both stretching and strengthening of the shoulder joint. Also, don’t forget the common injury prevention techniques like, warming up properly and using a bit of old-fashioned common-sense. However, for the most part, stretching and strengthening are going to be your best defense against shoulder injury. Even if you don’t have a shoulder problem now, the following stretching and strengthening exercises could save you from a major trauma in the future. A thorough and correct warm up will help to prepare the muscles and tendons for any activity to come. 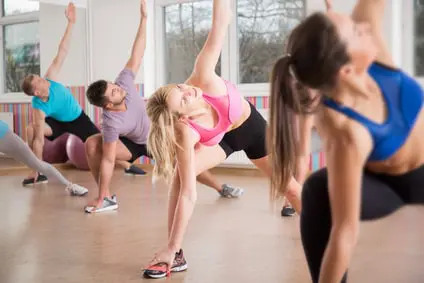 Without a proper warm up the muscles and tendons will be tight and stiff, which may limit blood flow and result in a lack of oxygen and nutrients for those muscles. Before any activity be sure to thoroughly warm up all the muscles and tendons that will be used during your sport or activity. Strengthening and conditioning the muscles of the upper back, chest and shoulders will also help to prevent rotator cuff injury. There are a number of specific strengthening exercises you can do for these muscles, including dumbbell exercises and Thera-Band exercises. 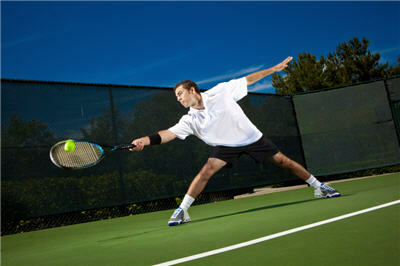 Flexible muscles are extremely important in the prevention of shoulder injuries. When muscles and tendons are flexible and supple, they are able to move and perform without being over stretched. On the other hand, if your muscles and tendons are tight and stiff, it is quite easy for those muscles and tendons to be pushed beyond their natural range of movement. To keep your muscles and tendons flexible and supple, it is important to perform regular rotator cuff stretches (see below). Below you’ll find a few good stretches for your rotator cuff. But don’t rely on just a few shoulder stretches; it’s important to do a range of stretches for the shoulders, chest, and the upper back. Please be careful, if you haven’t been stretching your rotator cuff muscles, some of these stretches will put a lot of stress on the rotator cuff tendons. Warm-up first, then gently and slowly is the best way to proceed. The earlier a rotator cuff injury is attended to; the better. The first 48 to 72 hours are crucial to a complete and speedy recovery. The first and most important course of action is the R.I.C.E.R. regimen. Rest, Ice, Compression, Elevation and Referral. Take a look at my R.I.C.E.R. regimen article for a more detailed explanation of how (and why) to use the R.I.C.E.R. regimen. After the initial injury has been attended to with the R.I.C.E.R. regimen, (for at least 48 to 72 hours) it’s time to move onto the next stage of treatment. As mentioned before, the shoulder joint receives very little blood supply. 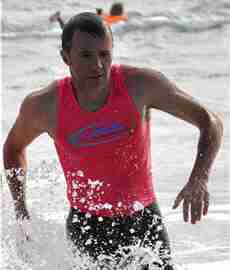 So, what can you do to increase blood flow, and oxygen and nutrients to the injured area? Heat: Heat is extremely good for increasing blood flow to a particular area. Heat packs, heat lamps and hot water bottles are the most effective way to increase blood flow, while heat based creams are a distant second choice. Massage: Massage is one of the best ways to increase blood flow to an injured area, and of course the oxygen and nutrients that go with it. The other benefit of massage is that it helps to reduce the amount of scar tissue, which is associated with all muscle and tendon, strains and tears. Don’t stop moving: Some doctors will often tell patients to keep the injured area still, and this is not always the best advice. Gentle movement will help to keep the blood flowing to the injured area. Of course, if pain is present, limit the amount of moving you do, but don’t stop moving all together. 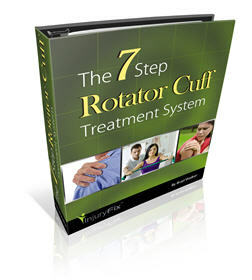 The 7 Step System is a systematic, step-by-step, proven method of reducing your pain, fixing your rotator cuff injury properly, and then making your shoulder so strong and stable you’ll never have to worry about shoulder pain again. Chang, K. Hung, C. Han, D. Chen, W. Wang, T. Chien, K. (2015) Early versus delayed passive range of motion exercise for arthroscopic rotator cuff repair: a meta-analysis of randomized controlled trials. The American Journal of Sports Medicine, 43(5), 1265-1273. Desmeules, F. Boudreault, J. Dionne, C. Frémont, P. Lowry, V. MacDermid, J. Roy, J. (2016) Efficacy of exercise therapy in workers with rotator cuff tendinopathy: a systematic review. Journal of Occupational Health, 58(5), 389-403.